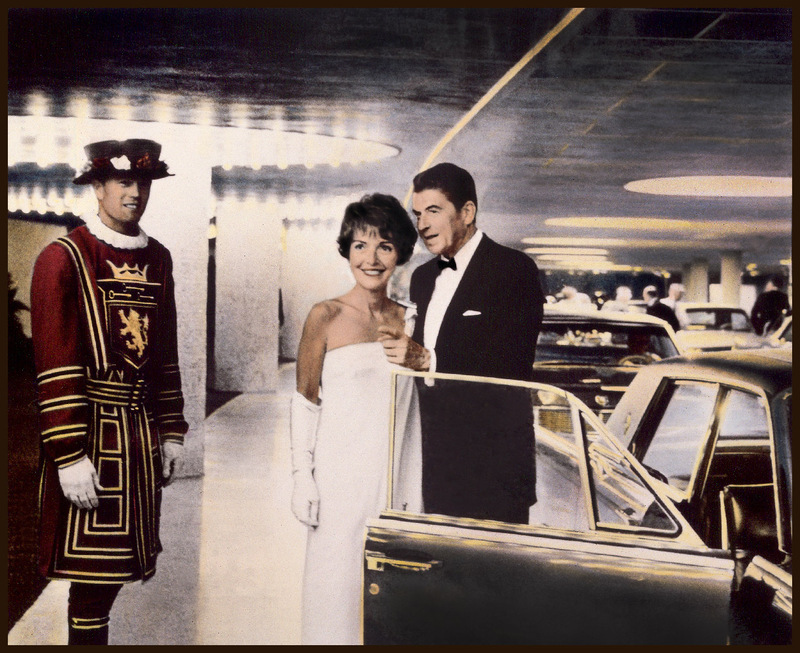 Rolling back the clock nearly two decades from my last post, here is a shot of Ronald and Nancy Regan getting out their limousine as guests of honor at the opening of the Century Plaza in 1966. Harry Mulligan, the Hotel's firsts General Manager was on hand to introduce the world to a broad list of innovations at the CPH, including its state of the art security procedures quickly made the Century Plaza a destination resort for innumerable galas and high profile functions. Additionally, it was the first hotel with clock radios in ever room. Century City was rapidly establishing itself, built on what only a few years early was the back lots of Fox Studios. Travel theme. Theme images by sandoclr. Powered by Blogger.